1. Meeting transformational demands of UiTM. 2. The claim that our graduates are unemployable. 3. Declining quality of our lecturers. 4. Decreasing popularity of our programs. Most importantly everyone must realize that the academic platform has changed to cater for the ever changing national as well as industrial demands. The QS ranking that has just come out for the year 2013/2014 has put many universities in the country in a renewed rat race. When education is seen as a rat race something will be the victim to make sure the race is won. The lecturers are no longer the noble and respectable wise men but just an information provider to produce a massive workforce. If we look back to the history of civilization especially Islamic civilization that was prominent during the 13thand 14th century, academics ( or ulama) sat high in the society. They have a seat in the court of the sultan or emperor as advisors. They taught out of passion for knowledge and travel in great distance to acquire new knowledge. They wrote compendiums from great philosophers of the time and made it available for the community especially the courts of their sultan to gain knowledge and advice. The civilization set its foundation and prospers throughout the world. The intention to acquire knowledge and disseminate it is pure and noble; thus the product remains till this day. 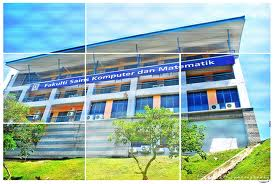 FSKM has a long way to own academic excellence but it is not something impossible. The resources should be garnered comprehensively to value knowledge and continue to seek new knowledge for the culture of knowledge creation to remain as the main agenda of the faculty. It’s not easy, as part of the faculty’s administration for many years, I know the challenge is monumental. It would take someone with incredible leadership quality and highly charismatic to take this task successfully. The succession plan was designed to meet up those challenges and we believe our chosen candidate will be perfect for the task. Whoever that person is, I wish him/her a very good luck.